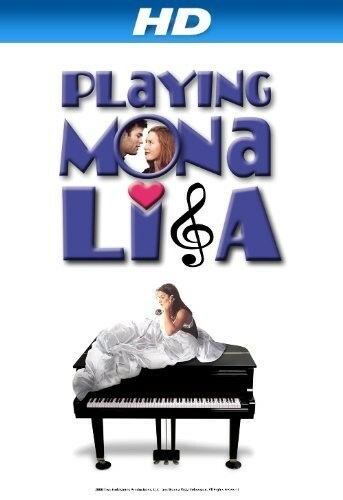 Playing Mona Lisa (film) A brilliant 23-year-old pianist, Claire Goldstein, living in San Francisco, suddenly finds her life in a downward spiral. Her own misfortunes are the catalyst for introspection in those around her and, as she picks up the pieces of her own life, she finds that no one has a perfect life—they are just hiding behind contrived smiles, playing Mona Lisa. Directed by Matthew Huffman. Very limited theatrical release, opening on October 27, 2000, in San Francisco. Released without a label. Stars Alicia Witt (Claire), Harvey Fierstein (Bennett), Brooke Langton (Sabrina Pagniatti), Johnny Galecki (Arthur Kapp), Elliott Gould (Bernie Goldstein), Marlo Thomas (Sheila Goldstein), Ivan Sergei (Eddie). Based on the play Two Goldsteins on Acid, by Marni Freedman. 93 min. Released on video in 2001.